Today is my knitting anniversary! It’s been a year since my fateful Knitting Adventure at the Banaue Rice Terraces. It was where I first learned to knit. The lesson wasn’t easy for me, and I did struggle at first. But with a lot of practice, I did get the hang of it. And I even re-learned how to crochet along the way! To celebrate this important milestone, I crocheted and knitted this infinity shawl using chunky yarns from my favorite notions store, The Attic Yarn and Craftery. The ladies behind this local shop has become my friends, and it is touching how this friendship has also become a source of strength and inspiration for me to keep going. My knitting and crochet abilities are in line with my goal to diversify myself through continuous learning of skills. You may be wondering how this connects to my goal to work in a corporate setting. Well, knitting and crochet has taught me patience, perseverance, resilience (especially when I would drop a stitch and have to start over! ), creativity, and imagination. I have also learned these skills from scratch through workshops (like the advanced crochet one I attended with Mayown last year). If I can train my mind and hands to manipulate yarn, needles, and hooks, then I’m sure that I am ready to learn new programs, business platforms, and skills. I have also started a new scarf using the knitting needles that came with my kit at Banaue. Using these 6mm bamboo needles again is humbling, as I recall the awkward stitches that I have made 365 days ago in the mountains. Now, I am in my room in the city, with pop music blaring in the background. 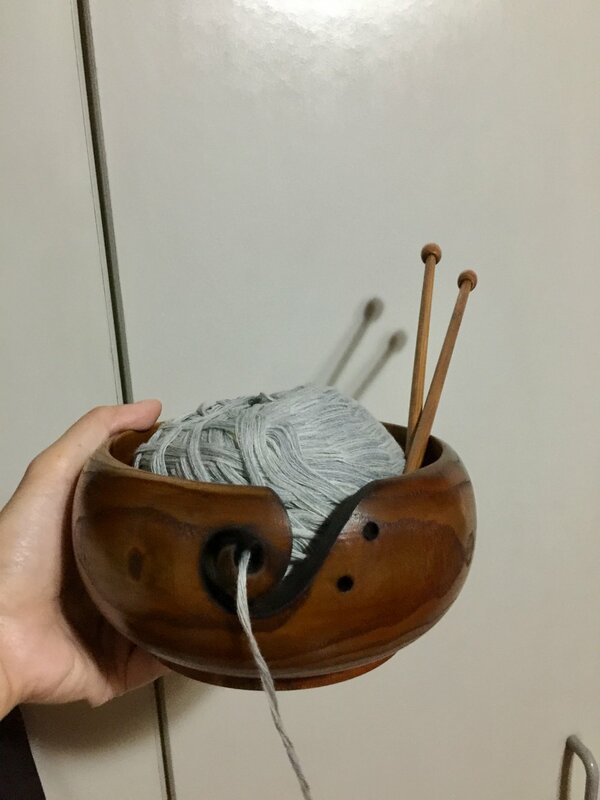 I have yarn from Pasig, the yarn bowl that I gifted myself with on Valentine’s Day, my first knitting needles, and the determination to keep going. I have amazed myself with how far I’ve come in my creative journey. I know that this is only the beginning.